The Rocky® Athletic Mobility Fleece Jacket is a men's camouflage jacket designed for warmth, comfort and function. The outdoor jacket has the technology Rocky Scent IQ which controls human scent at a microbial level. 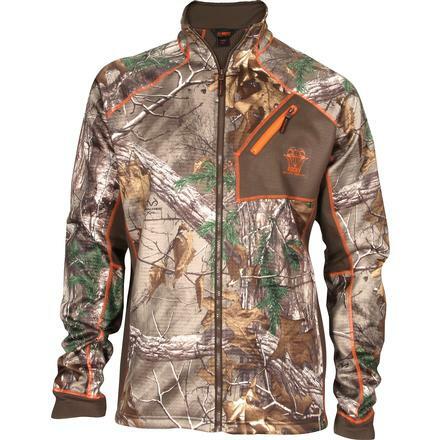 That feature makes this a great hunting jacket because it keeps you from giving away your position when stalking prey. Of course, the Realtree Xtra® camo pattern also makes hunting easier as you blend with your surroundings. This also is a water-repellent jacket. It has DWR (Durable Water Repellent) coating to help keep water on the outside of your fleece coat, rather than soaking it up. If you want a comfortable jacket for men, this is a good choice. It has 380 grams of bonded fleece, 100-percent polyester, with a grid fleece back. The torso of the coat has thicker fleece, and designers used breathable stretch fleece under the sleeves and in side panels. The stretch factor is for ease of movement. And anyone who hunts or works outdoors knows it's important that you can move easily in your camo jacket. The breathable factor is to keep you from getting over-heated in your jacket when you're on the move. The R.A.M. 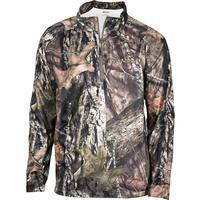 fleece jacket is a great jacket for men who hunt or spend time outdoors. It's a comfortable camouflage jacket that controls human odor and repels water. Order one today!